Have you seen these pretty pictures of snow-capped mountains? Brace yourself, we’re in for a cold weekend after some snowfall in the Western Cape. Twitter users, including Snow Report SA, have shared photos of the snow. It’s going to have a domino effect on the rest of the country, with temperatures dropping in Gauteng from Sunday, according to the South African Weather Service. BIG snow weekend for SA? We are currently monitoring the development of a strong cold front that is due to make landfall over the Western Cape by midday on Saturday. This is an advanced forecast and things could still change but models are showing consistent results. Weather models suggest a BIG snowfall weekend over most mountain ranges of the Western Cape, Eastern Cape, KwaZulu-Natal and Lesotho. We expect snowfall to start over the Western Cape mountain ranges by Saturday evening and snow will fall throughout the night over most ranges. Big-time snow is expected over Matroosberg Private Nature Reserve, Ceres with up to 25 cm expected over the peak. More heavy snow is expected over the Drakenstein Mountains, Cederberg Municipality, Groot Winterhoek Mountains, Hex River Mountains and Hottentots Holland Mountains. On Sunday we expect heavy snow over the Swartberg and Outeniqua Mountains. 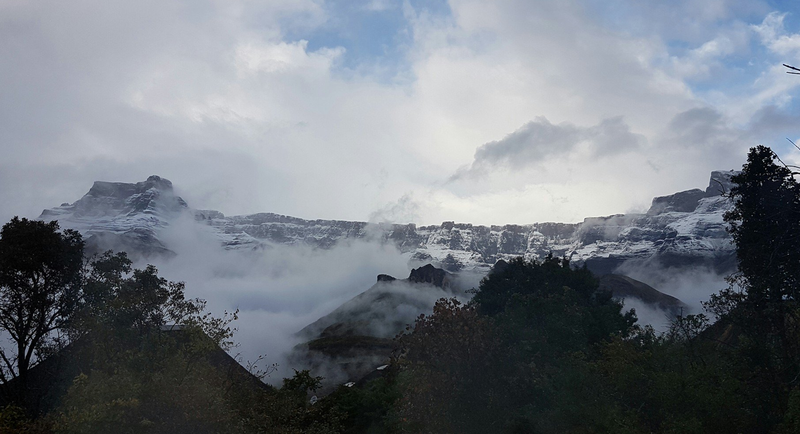 Moderate snowfall over Sutherland, mountains around Beaufort West, Graaff-Reinet, Cradock, Hogsback, Queenstown, Middelburg, Barkly East, Rhodes, Lady Grey, Hogsback, Tiffindell, Afriski Mountain Resort, Sani Pass, central Lesotho and the eastern Drakensberg. Light flurries over Colesburg, Zastron and Aliwal North. This is an advanced forecast and it could change depending on the weather. We will keep you guys updated!